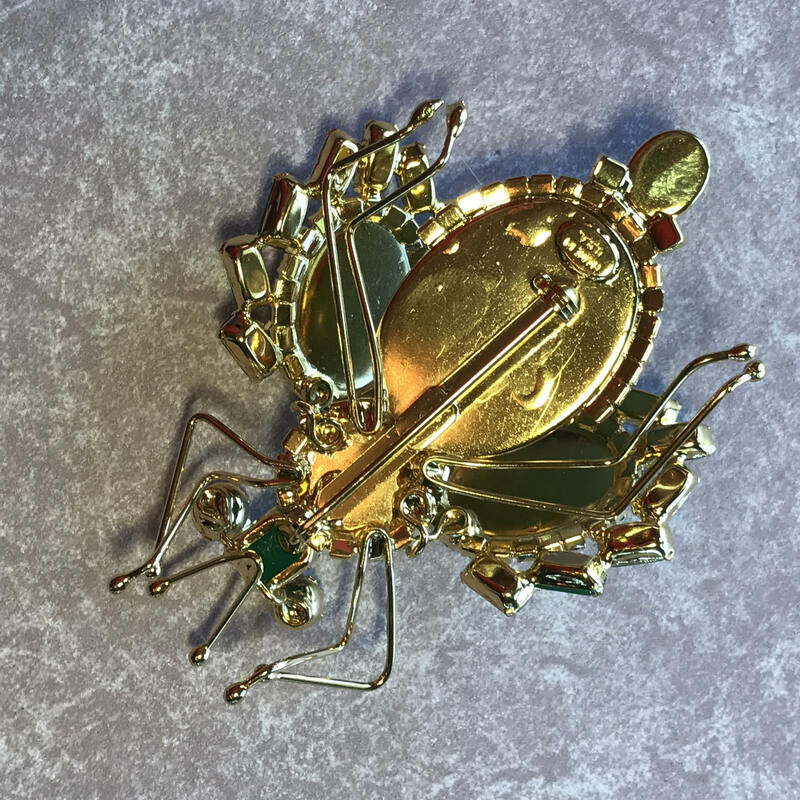 Fabulous MOANS Couture Hand made Bug/Insect Brooch, Giant Bug! 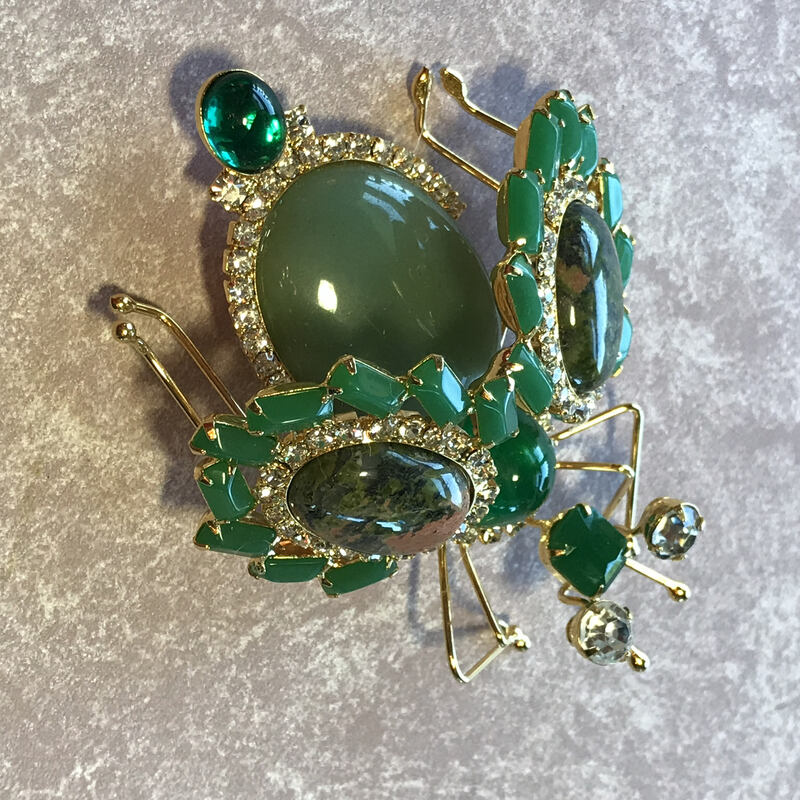 This Brooch is turquoise cabochons and chaton eyes. He measures 4 inches wide by 3.5 inches. These Bugs are one of a kind. Ask me any questions, or more photos. I will be happy to provide answers for you. 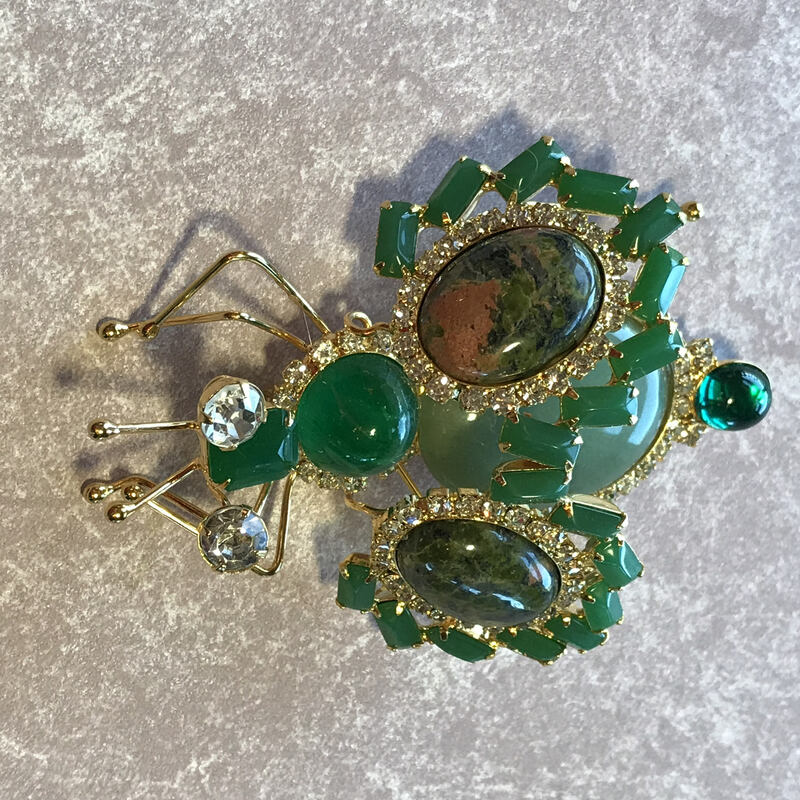 Moans Couture pieces are sold by high-end costume jewelry dealers like Kim DeWitt Paff at BAKELITE QUEEN all over the world. 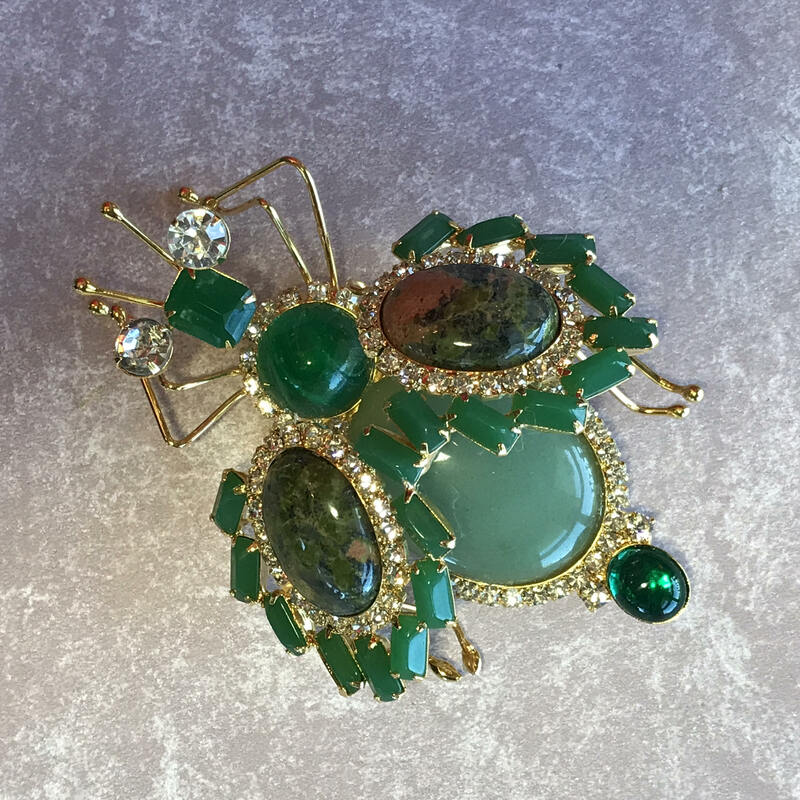 As far as Moscow, romantic as Paris, and luxurious as Palm Beach; Moans Couture pieces are represented every day in exotic locations somewhere on the globe.